Lucent Capital, in collaboration with ClarkeHopkinsClarke Architects & Breathe Architecture as interior designer, are the first developers to receive a Nightingale licence. 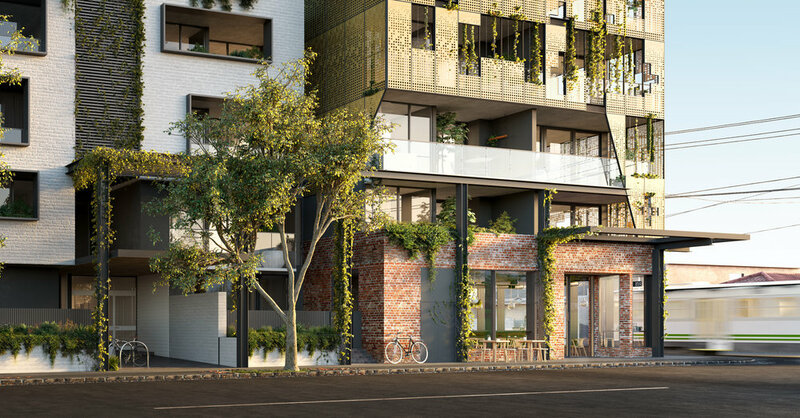 This licence was issued as Lucent showed a genuine commitment Nightingale model ethos, and have signed up to produce a better building and community outcome for Nightingale Brunswick East. The team is moving away from the traditional approach to developing a multi-residential housing building with this site, using instead the Nightingale model with its values of financial, social and environmental sustainability. The building will be constructed from recycled bricks, with the vertical and rooftop gardens for which Nightingale has become known.